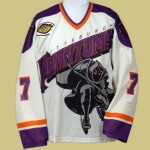 â€¢ The Phantoms ranked 15th in the 24 team league in attendance with an average of 3,587 fans per game, which was more than 700/game below the league average. â€¢ Their offense was the second in scoring with an average of 9.41 goals per game, ranking behind Minnesota. â€¢ The defense surrendered 8.77 goals against per game was third worst.â€¢ At 57%, theirÂ powerplay ranked second in the league overall and ranked first at home with a 66.7% success rate. 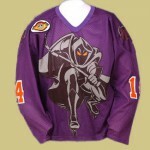 â€¢ The Phantoms penalty killing was the fouth best in the league, killing off 59.2% of opponent power plays. â€¢ George Wilcox led the team in scoring and finished tied for 16th in league scoring.â€¢ Alain Morrissette finished tied for fourth in league wins. â€¢ The Phantoms beat the Chicago Cheetah’s in the first round. Chicago won the first game, 9-8. 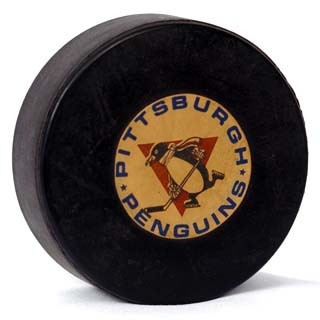 Pittsburgh won game two, 23-5 and won the playout game, 1-0 to win the series. â€¢ Pittsburgh lost to the Minnesota Blast in the second round. Front Row: A.T. Caggiano (asst. equipment manager), Paul Flati (asst. equipment manager), Steve Latin (Equipment Manager), Warren Young (Assistant Coach/Director of Player Personnel), Rick Kehoe (Head Coach), Jeff Whittle, Bruce Coles, Trevor Buchanan, Glen Clark. Back Row: Brian Cook, Scott Burfoot, Brock Woods, Alain Morissette, Alain Lemieux, George Wilcox, Jamie Adams, Eric Brule, Erin Whitten, Sylvian Rodrique.